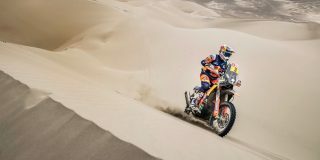 After a decade in South America, a new chapter in the history of Dakar will be written as the world’s biggest rally makes its Middle East debut in Saudi Arabia next year. 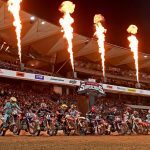 Troy Bayliss Events today confirmed the third round of the 2019 Australian Supercross Championship presented by Yamaha will be held at Wollongong’s iconic WIN Stadium on Saturday 9th November. 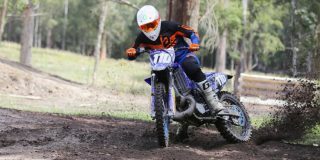 It was a weekend of three from five for Dunlop at the third round of the MX Nationals in Broadford, Victoria. Get in the mood for a ride this weekend! 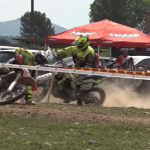 Watch these riders go 'bar-to'-bar around a stick grass track! 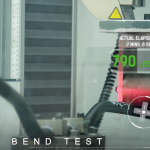 Take a look at the complex engineering and manufacturing that goes into the handlebars used by today's Supercross riders. Catch up on all the action from the I-81 Motorsports Park Full Gas Sprint Enduro. DPH Husqvarna Factory Racing team has once again proved itself as a force to be reckoned with in the chase for both the 2019 MX1 and MX2 Motocross Championships . 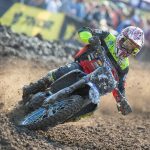 Round three of the 2019 MX Nationals saw Yamaha Racing out in full force with all four major teams on hand. 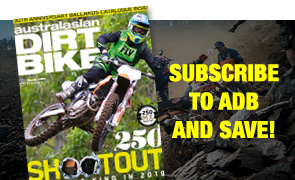 Two of the Yamaha Australian Off-Road Championship leading stars hit the ground running a week later for Round 3 of the Pirelli MX Nationals. 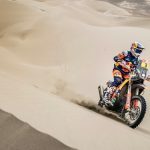 Interviews with Marvin Musquin and Cooper Webb from Nashville Race Day Live 2019. Listen to the podium finishers from the Denver round of the Monster Energy AMA Supercross Championship.